A high ratio power splitter is described which does not require any very high impedance transmission line. An example is presented of a 1:8 splitter, which would normally require one transmission line with an impedance of 252 Ω. The approach taken here uses an additional quarter wavelength transmission line at the input to reduce the impedance at the power splitting node, so the highest impedance line is a more manageable 109 Ω, which on standard 1.6 mm thick FR4 is equivalent to a width of 0.5 mm. Using this technique, a 900 MHz power splitter was first simulated and then realised on FR4. A return loss of better than -15 dB was measured at all three ports. The measured results agrees with the electromagnetic (EM) simulations. 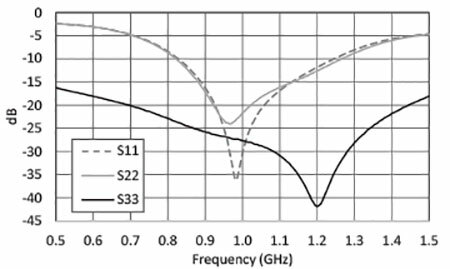 Many sophisticated RF power amplifier architectures like Doherty  and feedforward  require power splitters with unequal ratios. Unequal power splitters can be realised by cascading two pairs of quarter wavelength transmission lines. The additional transmission lines ensure that the voltages present at each end of the isolation resistor are equal so it does not dissipate any power. Low splitting ratios are easy to realise, but as the ratio increases, the impedance of one of the transmission line rapidly increases. This leads to a low width-to-height ratio of that transmission line, to the point where it becomes impractically narrow to realise in microstrip. A common approach is to remove or modify the ground plane underneath the high impedance line. Many designs based on this concept have been published capable of large splitting ratios . However, removing the ground plane makes the impedance of the transmission line susceptible to its environment, i.e. if placed in a metal box. Related techniques involve leaving the ground plane intact, but carving into the substrate  or stacking multiple substrates on top of one another . These techniques greatly increase manufacturing costs, and splitting ratios are low. It is also possible to cascade a number of low ratio splitters  or multiway splitters  to achieve high ratios, but these become increasingly complex and physically large. Other techniques involve complex layouts , replacing transmission lines with lumped components  or cascading multiple sections . The approach taken here allows high ratios to be achieved with just the addition of a low impedance line at the input port to produce a power splitter which is realised with conventional microstrip technology. The simplified schematic of a conventional 1:8 power splitter is shown below in Fig. 1 (a). Design equations for the transmission line impedances and isolation resistor R1 can be found in Reference . All ports are terminated in 50 Ω. Transmission lines TL1 and TL2 are specified so that although the power entering Port1 is unequally split, the voltage across R1 is zero. 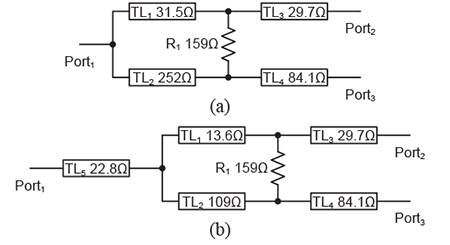 TL3 and TL4 then provide impedance transformations, so that Port2 and Port3 are 50 Ω. This arrangement results in TL2 having an impedance of 252 Ω, equivalent to a width of less than 0.01 mm on standard 1.6 mm thick FR4. With such a narrow width, the transmission line is susceptible to manufacturing and copper thickness tolerances. Figure 1 • Layout of a 1:8 Wilkinson power splitter: (a) conventional splitter, (b) proposed splitter. The splitter proposed in Fig. 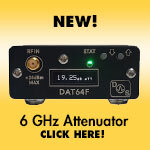 1 (b) overcomes the high impedance requirement of TL2 with an additional transmission line TL5. By lowering the impedance presented to the node at TL1 and TL2, TL2’s impedances can be reduced to more practical value. If an impedance of 109 Ω is specified, it now has a width of 0.5 mm. To achieve the 1:8 splitting ratio TL1 is 13.6 Ω. The impedance at the node of TL1 and TL2 is now 12.1 Ω. TL5 is 22.8 Ω to provide the required impedance transformation from 50 Ω. All transmission lines are a quarter wavelength in length. One disadvantage with this technique as clearly indicated in the EM simulation layout shown in Fig. 2, is that TL1 is very wide at 17.2 mm, reducing its length-to-width ratio at high frequencies. The isolation resistor R1 is included in the EM simulation through two internal ports (4 and 5). 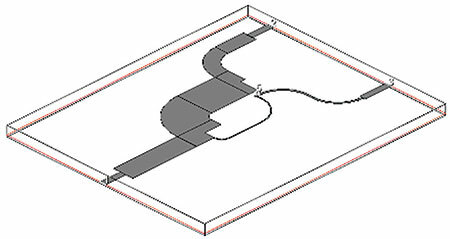 Figure 2 • Layout of 1:8 power splitter for EM simulation. An EM simulation of the layout was carried out in National Instruments’ Microwave Office. The simulated results for the return loss at all ports are shown in Fig. 3 (a). After optimisation a return loss better than -20 dB was achieved at all ports at the design frequency of 900 MHz. The transmission loss is shown in Fig. 3 (b), where the mid band insertion losses are -0.62 dB and -10.0 dB. These correspond well with the theoretical -0.5 dB and -9.5 dB for S21 and S31, respectively. Substrate losses were not incorporated into the simulation. Also included in Fig. 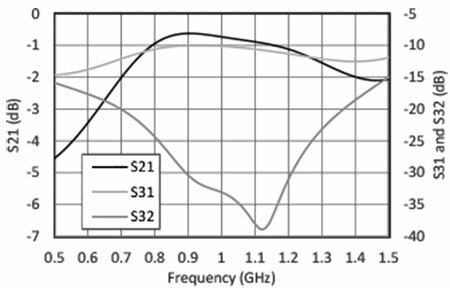 3 (b) is the isolation S32, which at 900 MHz was -30.4 dB. Figure 3 • EM simulation response of power splitter: (a) Return loss from Ports 1 to 3, (b) Transfer response between Ports. 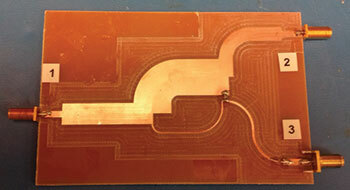 From the simulation, a PCB layout was extracted and the splitter fabricated on FR4 as shown in Fig. 4. Measured return loss results are shown in Fig. 5 (a). The resonating frequency has shifted up slightly to 970 MHz, however performance at 900 MHz is still good, with better than -15 dB return loss from all ports. The S33 is better than the simulation with a larger bandwidth although it has also shifted up in frequency. Figure 4 • Photograph of fabricated splitter with ports labelled. The insertion loss of S21 and S31 shown in Fig. 5 (b) have increased to -1.11 dB and -10.7 dB respectively due substrate losses. The S32 response has shifted up in frequency, but still has a similar shape to the simulation result of Fig. 3 (b). This work is compared with others published in the literature as shown in Table 1, where the splitter maintains a good balance between splitting ratio, physical size and complexity. Figure 5 • Measured response of power splitter: (a) Return loss at Ports 1 to 3, (b) Transfer response between Ports. The published work that is the closest to this work, is Reference , which although offering a similar splitting ratio and being physically smaller, has a narrower bandwidth. This is due to the use of non-quarter wavelength transmission lines whose dimensions are critical to achieving the described results. 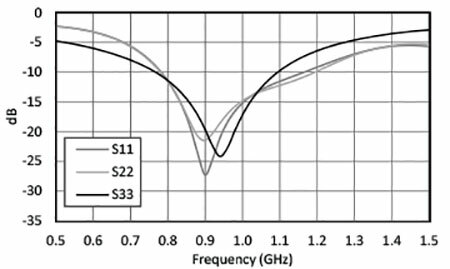 By using only quarter wavelength transmission lines, this design is relatively tolerant to manufacturing and achieves a fairly broad bandwidth. Table 1 • Comparison of power splitter to other published work. A Wilkinson power splitter is described with a 1:8 power splitting ratio. This is achieved with an additional quarter wavelength line at the input port to transform the 50 Ω system impedance to a 12.1 Ω. This reduces the high impedance line from its usual 252 Ω to 109 Ω, improving manufacturability. The design is first EM simulated and then practically produced where it is shown to confirm well with the theory and compares well with other published results. 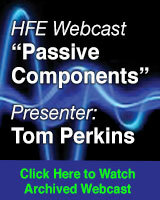 The author would like to thank all at Toshiba Research Europe Limited for their support with this work. 1. 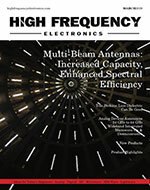 Seo, M., Song, M., Gu, J., Kim, H., Ham, J., Park, C., Yang, Y., ‘Three-stage doherty amplifier with uneven input splitter’, Wiley Microwave and Optical Technology Letters, 2013, Vol. 55, No. 6, pp. 1405–1409, doi: 10.1002/mop.27581. 2. Watkins, G.T., Warr, P.A. ‘Flexible linearity profile low noise feedforward amplifiers for improving channel capacity’, The 57th IEEE Semi-annual Vehicular Technology Conference, 2003, Vol. 3, pp. 1567-1570, doi: 10.1109/VETECS.2003.1207085. 3. Chen, J., Xue, Q., ‘Novel 5:1 unequal Wilkinson power divider using offset double-sided parallel-strip lines’, IEEE Microwave and Wireless Component Letters, 2007, Vol. 17, No. 3, pp. 175-177, doi: 10.1109/LMWC.2006.890458. 4. Moradian, M., Oraizi, H., ‘Application of grooved substrates for design of unequal Wilkinson power dividers’, IET Electronics Letters, 2008, Vol. 44, No. 1, pp. 32-33, doi: 10.1049/el:20082816. 5. Watkins, G.T., ‘A 1:8 Cascaded Wilkinson Power Divider’, The 44th European Microwave Conference, 2014, pp. 219 – 222, doi: 10.1109/EuMC.2014.6986409. 6. Chen, H., Zhang, T., Che, W., Feng, W., Xue, Q., ‘Unequal Wilkinson power divider with wide range of arbitrary power division based on recombinant technology’, IET Microwaves, Antennas & Propagation, 2014, Vol. 9, No. 2, pp. 166-175, doi: 10.1049/iet-map.2014.0304. 7. 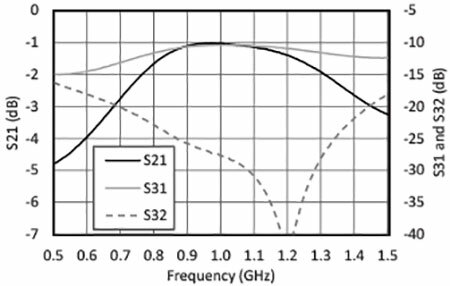 Qi, T., He, S., Dai, Z., Shi, W., ‘Novel unequal dividing power divider with 50 Ω characteristic impedance lines’, IEEE Microwave and Wireless Component Letters, 2016, Vol. 26, No. 3, pp. 180-182, doi: 10.1109/LMWC.2016.2525817. 8. Heydari, M., Roshani, S., ‘Miniaturised unequal Wilkinson power divider using lumped component elements’, IET Electronics Letters, 2017, Vol. 53, No. 16, pp. 1117-1119, doi: 10.1049/el.2017.2118. 9. Honari, M.M., ‘Converting an equal multi-section Wilkinson power divider to an unequal one’, IET Electronics Letters, 2012, Vol. 48, No. 25, pp. 1603-1605, doi: 10.1049/el.2012.2893.